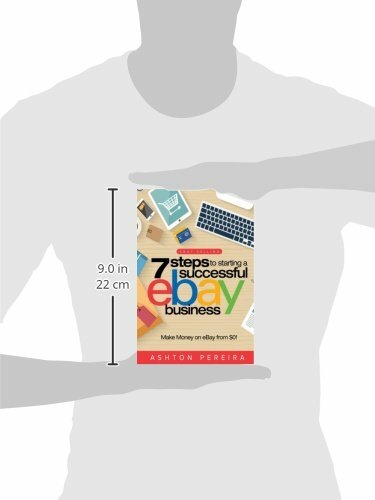 Finally a book that will TEACH YOU step-by-step EXACTLY how to start YOUR own eBay Business! Do you want to run your own eBay business? Are you sick of trying and failing because you can't find profitable products? Do you want your own eBay business but don't know where to begin? Or are you sick of hearing about other people's success on eBay, and finally want YOUR OWN SUCCESS? If you're ready to change your life and start creating income online through eBay selling or by owning your own eBay store then THIS WILL BE THE LAST BOOK YOU EVER BUY! It's fine! 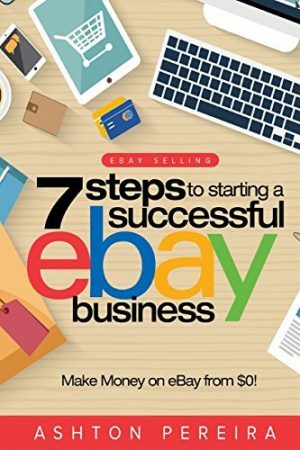 eBay Selling: 7 Steps to Starting a Successful eBay Business from $0 and Make Money on eBay will solve all your problems! This book is NOT another piece of garbage book that just describes eBay and what an eBay business is! This book is NOT a get-rich-quick scheme! This book CONTAINS step-by-step, detailed instructions for you to complete that will take you from $0 to running YOUR VERY OWN successful eBay Business or eBay Store! There are too many garbage books out there that claim to help you start your own eBay business, claim to help you with eBay selling, claim to give you the best eBay tips and claim to bring you eBay success. I promised myself that once I experienced my own eBay success, I would write a book that REVEALED EVERYTHING and taught people the REAL way to make money on eBay. It's absolutely not. It is 100% possible for you to run your own successful eBay business and improve your eBay selling skills! All you have to do is read this book and TAKE ACTION. Follow through with all the steps, and before you know it you will be experiencing UNIMAGINABLE success! It's Finally Time to Take Action. If you are ready to work for this and achieve your dream income online - scroll up, get this book, and take the first steps to your new life TODAY! Be the first to review “7 Steps to Starting a Successful eBay Business: Make Money on eBay: Be an eBay Success with your own eBay Store (eBay Tips) (Volume 1)” Click here to cancel reply.